I am oddly fascinated by the phenomenon of shopping trolleys we find on the Thames foreshore – and the possible reasons they might be there. 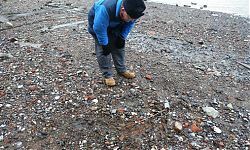 In early 2012, we found one of our most interesting examples to date, on the Greenwich Palace foreshore. 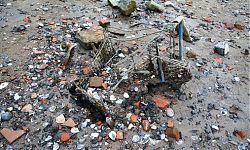 While most of the trolleys we see are lying on the surface, this one was buried deep within the foreshore deposits, very close to the post-medieval jetty. 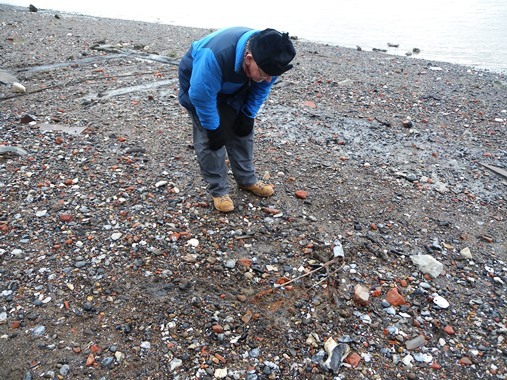 It has provided a useful ‘erosion marker’ for us over the years, and during a monitoring visit in December 2015, we noted that it has now eroded out of the foreshore completely – we’ll have to check how far downstream it has now moved during our next visit in a couple of weeks time, or whether it’s now disappeared altogether. The rapid exposure of the trolley over the last few years is yet another graphic illustration of the very dynamic erosion regime across this part of the site. It seems likely that the trolley was buried to fill in a hole, probably originally excavated by mudlarkers when digging to depths greater than 7.5cm was permitted on the site (for the current restrictions please see the PLA website). The trolley is from a Lo-Cost supermarket, which were eventually sold by Safeways to the Co-op in 1994. The trolley certainly wasn’t visible when we first worked at the site in the mid 1990s, so it must have been buried before then – maybe during the 1970s or 1980s – does anyone know if there was a Lo-Cost supermarket nearby in Greenwich? A question for the hive mind! 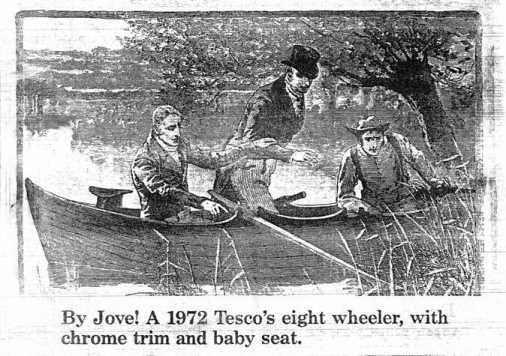 For those of you who, like me, are interested in these iconic 20th century artefacts (try googling ‘online shopping symbol’), there’s a great article online here about the history and development of the shopping trolley – many thanks to Helen for the reference!